We stopped by the store on the way home and of course she had to show every stranger she met. Once we got home she got really silly. What a goof ball. She asked how long it would take for her adult tooth to grow in. I explained it could take a while (since I didn't want to have to count down the days.) She thought about that for a minute and then she said "once it grows in then I'll be an adult - right Mommy?" Oh sure Lexie. Here are the car keys and a credit card.....NOT!! Finally she calmed down enough to take her shower. Once she was out, Lexie was very concerned about where to put the tooth so it wouldn't get lost. We decided to put the tooth in a jewelry box. As I was getting her ready for bed she then said "tell the story with pictures, please Mommy!" 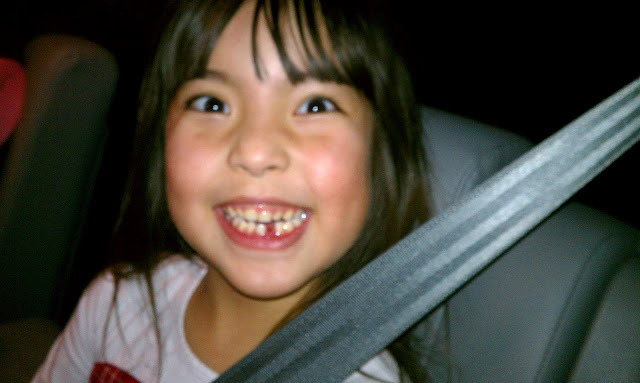 So here is the story of her first tooth being placed under her pillow to await the tooth fairy and all her magic. Then my favorite part - snuggling under the covers and getting ready to close her eyes and GO TO SLEEP!! This morning as we were getting ready, Lexie informed me that the tooth fairy makes necklaces for her daughters and granddaughters out of the teeth.....And she makes cell phones for the boys. I didn't even know what to say to that. I mean teeth cell phones? I wonder how long all this tooth talk is going to go on? 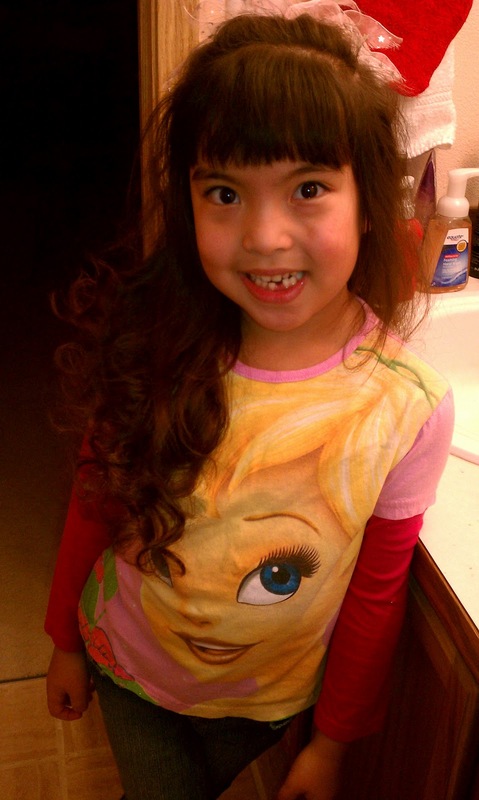 Regardless, I LOVE my toothless princess! !